Joao Pessoa, the Capital of Paraiba in Brazil Besides beautiful beaches and white sand bathed by a turquoise blue sea, Joao Pessoa is a city with extremely unique characteristics for your next vacation. 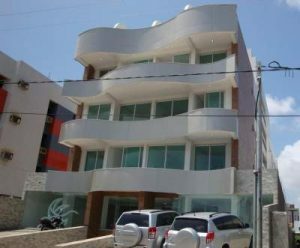 The air-conditioned apartments feature a kitchenette and an LCD TV with satellite channels. They provide a wardrobe, bed linens and towels. The popular Tambaú Craft Market is just 1.5 km from Terrazzas Flat. Presidente Castro Pinto International Airport is 24 km away. 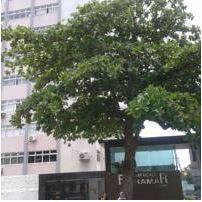 Apartamento Beira Mar em Cabo Branco offers pet-friendly accommodation in João Pessoa, 1.6 km from Tambau beach. Featuring free private parking, the apartment is 2.1 km from Handicraft Market. 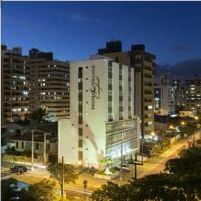 Just 100 metres from João Pessoa’s Manaíra beach, Village Confort features a 24-hour reception and air-conditioned rooms. It offers buffet breakfast and free Wi-Fi at the lobby. This oceanfront hotel in Joao Pessoa overlooks scenic Cabo Beach. 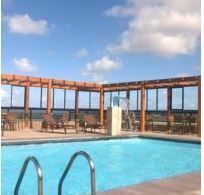 It offers a rooftop pool and sun terrace with panoramic views of the South Atlantic Ocean, and free WiFi. Joao Pessoa is a undiscovered paradise on the northeastern coast in Brazil. The city is situated directly at the ocean at the mouth of the Paraiba river. Joao Pessoa is farely undiscovered, even for the brazilian tourists. So if you want to spend a nice and calm vacation in a beautiful spot this is the place to go. Take A Break Holidays takeabreakholidays, Joao Pessoa San Francisco De Asis, Urb Marina, San Fulgencio, 03177, Alicante, Spain.